Fans didn't know what to expect from The Joker's movie future after Suicide Squad, but the reports of a Joker origin movie from Martin Scorsese was a true bombshell. It's a shocking rumor not only because of Jared Leto's role in Suicide Squad 2 and Gotham City Sirens, but because this proposed Joker solo movie won't be played by Leto at all. Apparently, it will chronicle the formative years of Joker's life with a younger actor in the lead role... and strangest of all, set outside of the shared universe known as the DCEU. To some, those details make absolutely no sense - to those already writing off DC Films' decisions, it's proof they're as doomed as ever. 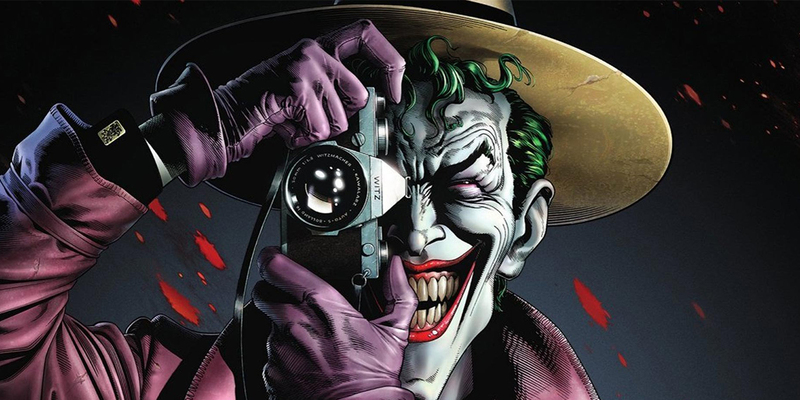 For the comic book fans, it's an easier concept to grasp, especially with a character as popular, as storied, and as inherently enigmatic and fractured as the Joker. And if the rumor is true, and Scorsese is interested in producing the movie from director Todd Phillips (War Dogs) and screenplay from Scott Silver (The Fighter), why not let them tell whatever story they wish (especially if it's set decades before the rest of the DCEU)? RELATED: What is The Future of Jared Leto's Joker? Naturally, the words "Joker origin story" will raise the hackles of many a comic book fan - and alone constitutes the reason a Joker origin movie shouldn't exist. But if we shake off the chains and assumptions of restrictive shared universes, and free ourselves from any responsibility to tell a "canonical" story of how Joker became... well, Joker, it's hard to believe anyone would think this project isn't worth a shot at all. Especially when you break down the reasons Why The Joker Origin Movie Can Work. "What made you what you are? Girlfriend killed by the mob, maybe? Brother carved up by some mugger? Something like that, I bet. Something like that... Something like that happened to me, you know. I... I'm not exactly sure what it was. Sometimes I remember it one way, sometimes another... If I'm going to have a past, I prefer it to be multiple choice! Ha ha ha!" For starters, let's tackle the first argument likely to be made by those opposed to a Joker movie set before his time as Batman's nemesis: "The Joker doesn't have a set origin, that's the whole point!" And it's true that The Joker's canonical origin story has changed dramatically over the years, with writers (and even Joker himself) poking fun at the gag made of most heroes and villains' formative experience. Christopher Nolan's The Dark Knight kept the idea alive by offering more than one explanation for Joker's signature facial scars. For some, that's an illustration of the reason why a Joker origin should never be set in stone: that the mystery, the 'unknowable' events and trauma that gave rise to The Joker are what makes him so interesting. That's a fine argument, but it doesn't address the reason why so many talented writers have felt the urge to write one. A question unanswered can be compelling, but it's also unnecessarily restrictive. As one of, if not the most iconic fictional villains of the modern world, The Joker is bigger than one incarnation (or one writer, or one movie, or one actor...). And writer after writer has convinced DC to allow them the chance to answer the question: how can a normal person grow into a legendary evil? Readers will all respond positively or negatively to each origin or re-imagining, but the idea that there is 'one Joker' isn't one that DC history supports. And if comic creators can spin a story of Joker's fall and rise, all with the understanding that it's coming from the most unreliable narrator in comics, why can't a movie? Unless we're making the restriction that a good take on Joker's story on the page doesn't get to be a good story on film, because... why, exactly? If the story is branded as a standalone exploration of The Joker from the start, refusing to see the story being pitched gains nothing, and costs plenty - especially with this kind of talent looking to bring their vision to audiences.